When you or your company has been targeted as part of a federal investigation, your life and business operations as you know it can change significantly. If you are a government contractor subject to criminal charges or investigated for violation of the False Claims Act, kickbacks, SBA Fraud or some other level of procurement or wire fraud scheme, you will want to know the basics when you make a decision to respond to federal government contracts investigations. Should You Respond to Government Investigations? When a federal government investigator comes to your business unannounced or wants to conduct an interview with one your employees, the first thing that comes to mind is whether they can do this. The answer is yes they can. However, a federal investigation may require you, corporate executives, to spend quite a bit of time and resources to respond an investigation. As a federal contractor or corporation targeted for some alleged criminal activity, you must get some idea of where the government is going with the case. The average length of a criminal investigation can be years. Waiting until midway down the road is simply too late because federal law enforcement agencies have already been working on the case long before contacting you. Having an attorney to help you to get up to speed and to make some sense from what is going on is worth the investment. 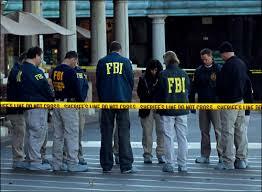 What is the Policy on the Federal Investigation Process? As a CEO, you want to realize that it is probably better to cooperate in government investigations. For example, in government contracting, the clause embedded into your contracts, such as the False Claims Act and clauses relevant to contractor code of conduct and integrity all play a part in protecting the government’s interest. During the bidding or performance process, when the contracting agency has reason or evidence to believe that there is procurement fraud or some level of criminal wrongdoing, then agencies will move forward with a federal investigation. Although the government has the right to protect its interest and taxpayers, it still must not tread on your legal rights. CEOs should not rely on the federal government to not violate your rights – the rules of engagement require you to seek legal counsel. Does Your Business Have to Submit to an Interview? The short answer is no. However, there is a long answer. If you choose not to submit or cooperate, then the federal investigative agencies have broad power to hurl you in front of a grand jury. Note that although you may have a right to remain silent, the reality is that the government has its own tools in the box and given the average length of a criminal investigation, your company can experience a long period of time dealing with federal investigations. As a contractor, you should ask if there is a subpoena or search warrant to be served and ask for a copy of the subpoena or search warrant. During a corporate or employee interview in a federal investigation, you can ask that the interview is terminated until you hire your attorney and the attorney is available to be present. What Happens If You or Your Employee Refuse to Answer Investigator’s Question? During a federal investigation or interview, there is a refusal to answer the investigator’s questions, a federal investigator has the authority to subpoena the employee to appear before a grand jury. This can be someone problematic for the individual or the company and depends whether your defense lawyer is present. Specifically, there can be valid objections to a question that can have constitutional implications. However, to refuse to answer any questions whatsoever would trigger a grand jury subpoena. What Rights Do You Have During a Federal Government Investigation? Whether you are a business or individual, you have statutory and constitutional rights during a federal government investigation. These rights include due process, a right to remain silent, and most importantly, a right to have your attorney present during an investigation or questioning by the federal government. Waiving or not properly exercising your legal rights in a government investigation can shape the case to a disastrous outcome. If you need immediate help from a federal criminal defense lawyer, call us at 1-866-601-5518 and speak to John Scorsine. Learn How To Adequately Respond to T4D Actions from the Government. Your Response is Critical.